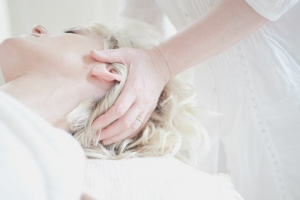 What is craniosacral therapy and why is it good for me? Some of you may have heard the terms craniosacral therapy and biodynamic craniosacral therapy floating around. However, what exactly is it and why is it beneficial for you? In today’s post, I try to explain the difference between the therapies and the science behind it so that it can be readily understood. Underpinning any form of craniosacral therapy is the belief that your own body has all of the tools it needs to heal. Essentially, the body has an inherent intelligence that constantly keeps your system running. So how can we tap into this inherent intelligence? To explain this, I will need to give you a quick anatomy lesson featuring the nervous system in plain English! Our body is split into two main nervous systems – the central nervous system (CNS) and the autonomic nervous system (ANS). The CNS controls our overall body and our mind. A good analogy for those who know something about computers is to regard our CNS as the central processing unit (CPU) of our entire body. The ANS is in charge of all of those bodily functions that happen on an unconscious level to keep us alive (e.g keeping your heart beating, keeping your lungs breathing, ensuring that your food is digested, etc). The ANS is split into two components – the sympathetic system and the parasympathetic system. The easiest way to explain the sympathetic system is that it is the part of the nervous system that is in “fight or flight” mode. You might be familiar with this system kicking into gear as it tends to be in full swing when you are stressed out (got a deadline coming up soon or about to stand up in front of a large group to do a presentation?) or suffering anxiety. Physical symptoms of the sympathetic system in overdrive may be tight muscles, increase in heart rate, pupils dilating, loss of appetite and a state of high alertness – i.e. if there is a sense that you are in danger – your body is preparing to be ready to whisk you out of there ASAP! The parasympathetic system is the opposite – this is the state of “rest and digest”. In this state, your body is repairing itself (hence the inherent intelligence) and restoring the body. It helps control the balance of your body’s functions (i.e. homeostasis). I like to equate being in this system to being really relaxed and almost in a meditative state – it’s a state that we should all try to be in! In an ideal world, both the sympathetic and parasympathetic system should be balancing each other out. However, as we know, life doesn’t happen like that, and the majority of times, we are in the sympathetic system. Craniosacral therapy is a healing modality that stems from osteopathic medicine and the aim of this is that takes you out of the sympathetic system and puts you straight into the parasympathetic system. There are two main types of craniosacral therapy – structural or functional craniosacral therapy and biodynamic craniosacral therapy. In this form of craniosacral therapy, the intent of the therapist is to align the structural imbalances of your body using gentle touch. This technique focuses on your body’s ability to heal itself and is one wh ere the practitioner is trained to go into their parasympathetic state, and by very light touch, your body’s system will start syncing or becoming in tune with the parasympathetic system of your practitioner. Once your parasympathetic system is in full swing, your body’s innate intelligence can take over and start fixing and restoring itself. You’ve all heard about how two pendulum clocks in a room will eventually sync up with each other after a period of time right? For the ladies reading this article, have you ever noticed that how that “time of the month” for other women who work in the same vicinity as you seems to be very close to your own? That’s essentially what is happening. Pretty much everything! Biodynamic craniosacral therapy can be used to help with a variety of conditions including reducing anxiety, stress, pain, depression, previous trauma, emotional issues etc. As it is a very light touch therapy and it works with your body’s own inherent intelligence, there aren’t many contraindications for it! Children with learning difficulties may find this sort of therapy very beneficial as well. How can I get a bit of a teaser to see if I’m up for it? I tend to blend biodynamical craniosacral therapy when I massage my client. For a lot of my clients, I will end a massage session with at least 5 minutes of biodynamic craniosacral therapy as it really assists their body in integrating all of the tissue work that has happened in the session. The feedback I receive is that the client usually feels super relaxed or some clients actually fall asleep! It is also not surprising to feel certain sensations in the body like twitches, energetic discharges, or parts of your body moving involuntarily. If you find the therapy really beneficial, we can then talk about options of having an entire session just being biodynamic craniosacral therapy. Did you know that every month we give one person the chance to experience an hour of biodynamic craniosacral therapy for free?! Click here to see how to enter. Previous Previous post: Computer work and texting – what a pain in the neck!